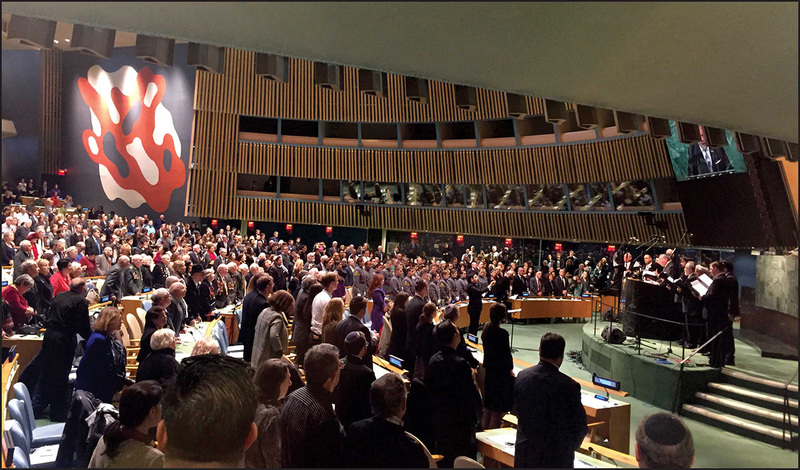 The 10th Annual Holocaust Remembrance Ceremony, which has been held at the United Nations; General Assembly in New York City, with attendees standing during the chanting of the prayer for the victims. 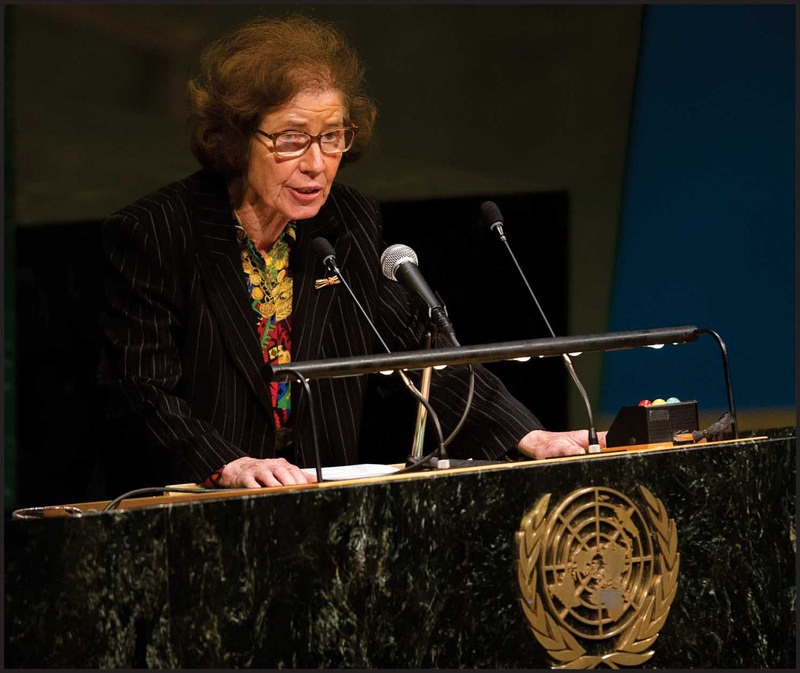 Nazis Hunter, Beate Klarsfeld, addressing the UN. I am German Lutheran, born in Berlin in 1939 just weeks before the Second World War, which saw the creation of the United Nations after the failure of the League of Nations, which itself had been conceived during World War One a century ago. It was a century that witnessed the perpetration of the genocide of Armenians in Asia, one that came close upon the heels of the genocide of the Hereros in Africa; two genocides that would precede that of the Jews in Europe. Together, Imperial Germany and Hitler's Germany were involved all three of these tragedies. Collective guilt hung over all Germans. Where then to find a glimmer of hope for the future? How to rebuild? How to repair the mistakes and crimes? How to rebuild Germany and integrate it into the international community again? Forty-four years later, Germany was re-unified, and today it is a powerful and prosperous state. It has regained the respect and esteem of its partners by affirming itself as a free nation and an exemplary democracy. It is the best friend and ally of France, a country against which it had conducted three wars in 70 years. As a German received by France and who also became French, I am pleased to have contributed to this unique Franco-German rapprochement, and I am happy to have been among the first Germans to build a bridge between the German people and the Jewish people and to have been nominated by Israel in 1977 and in 1984 for the Nobel Peace Prize. Germany has built a deep understanding with Israel, with the Jewish Holocaust survivors to whom it makes reparations, and with the Jewish people, to the point that today 100,000 Jews now reside in Germany, whereas less than 30,000 were still alive there in 1945, at a time when one heard predictions of the end of Jewish history in Germany; one that had once been so rich and fertile. Ever since my teen years, I always thought it was both exciting and difficult to be German. While the Cold War was raging, I didn't consider myself to be either from the East or the West, but as a reunified German citizen. And 45 years ago in Geneva, on the front of UN Headquarters, I set the affixed the flags of the two German states, so that the voice of Germany might be heard in this organization, whose mission is so critical for the international community and for world peace. It is logical that the democratic and humanist republican Germany of today, freed from Prussian militarism and Nazi ideology, should be as generously committed to the reception of political refugees as it currently is. It was also logical for a young German woman, beginning in the sixties, to commit herself to preventing former Nazis from polluting German political life on the one hand and, on the other, to ensure that Nazi criminals wherever they were in the world would be tried by the courts. I believed then, as I still do, in the moral unity of the German people: whatever its ideology, each German has specific responsibilities. It is not a collective guilt that is passed onto young generations; it is a collective responsibility and a moral and historic commitment. I tried to assume these responsibilities not merely in words but in just and difficult deeds; in Germany against a Chancellor who had been a former Nazi high propagandist, or in Austria against a President who had been General Secretary of the United Nations at the top of this very building where we now sit, while his file of suspected war crimes was kept here, downstairs in the basement. In South America I led many campaigns against Nazi criminals and against the dictatorships protecting them: against Colonel Banzer in Bolivia, against General Pinochet in Chile, against General Stroessner in Paraguay; and in 1977, against torture and repression in Buenos-Aires and Montevideo, when those countries were being led by military juntas. I also tried to demonstrate my solidarity with Jews persecuted everywhere in the world and with the State of Israel, the state of refuge for Holocaust survivors. I was arrested in communist countries; I went to Damascus after the Yom Kippur War to protest against the treatment inflicted on Israeli prisoners of war, to help the threatened Jews of Syria to leave the country and to ask for the extradition of the Nazi criminal Alois Brunner. At the summit of Arab States in Rabat and in Algiers, I also demonstrated in favor of a peace settlement and I spent one month in Beirut in the Muslim sector during the civil war, offering myself as a hostage in an effort to save the lives of the Jewish Lebanese hostages. The strength to lead these actions is one I draw from the memory of the long columns of parents and children on the ramp of Auschwitz-Birkenau being led to the gas chambers; those gigantic slaughter houses in the heart of Europe, built by Nazi Germany to exterminate the Jewish people. I am not alone on the path I have laid down in advance of my countrymen, and I am guided by men like Karl Jaspers, Heinrich Bill, Willy Brandt and by the example of Hans and Sophie Scholl, who showed the way, sacrificing themselves to save the honor of Germany. Rallying around our Franco-German alliance have been many of the Holocaust's orphans. They have supported us and many have campaigned with us. We fought for their rights and France has responded to our request and is now indisputably at the forefront of those countries making reparations to the victims of the Holocaust. The Nazis and all those who participated in genocide or massacres took no account of the value of human life. 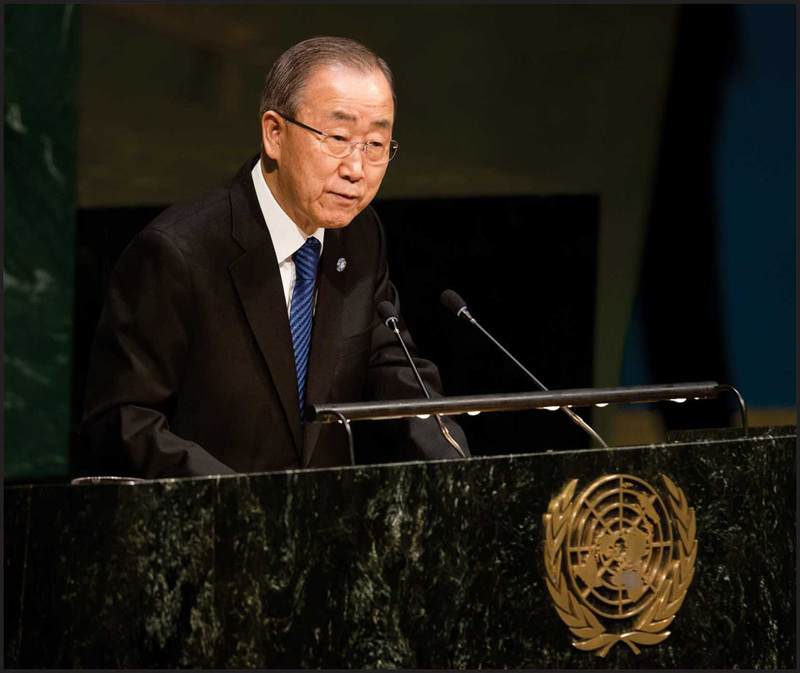 If the United Nations does not strengthen itself so that peace and order reign everywhere; if the international criminal court is not supported by a permanent international police force loyal to the United Nations alone, then the mass crimes will increase, because we are no longer two billion people as we were in 1940 but rather, seven billion today, and human life is at risk of losing its value. Memorials have increased in all the countries involved in the Holocaust: in those where it was perpetrated or who participated in it, and in those who did not intervene as they could have done to try to stop it. Germany devoted a key area for the Holocaust Memorial right by the old Reichstag, today's Bundestag. Everywhere historical documentation centers have also increased, as well as literature, theses, historical books and films about the disaster - this Shoah - which is receding in time with its last witnesses, its last victims, its last executioners, but which remains and will ever remain so close to us in the questions it raises about Man, about History and about a constantly renewed anti-Semitism, one which has incarnated itself today in a violent anti-Zionism. Six million Jews live in Israel and still live under the threat of a destruction promised them by enemies seeking nuclear weapons. Let us recall the threats made by Hitler against the Jews at a beer hall in 1920 or at the Reichstag rostrum in 1939; very few believed in them then, and yet they were made real in the end. I have never been fascinated by the executioners; my feeling is for the victims of this genocide which my husband never ceased to identify by playing the role of pioneer 40 years ago, by acting on behalf of one victim, then another and ever another. Through our actions on the ground, through our reference publications, through the activism of our association of the orphans of murdered Jews, our group has done its duty and fulfilled the mission of memory and justice it set for itself. But history is unpredictable. Only the United Nations, provided they are powerful and effective, can master the unpredictability of history and safeguard the dignity of every human being. Holocaust Survivor, Haim Roet, addressing the UN. I was born in Amsterdam in 1932 the youngest child in a family of six. My Parents Yohanna and Shlomo, my older sisters, Rozinna and Adela and my three brothers Yosef, Avraham and Aaron. My parents were modern middle class orthodox Jews whose family can be traced in Holland back to the 17th century. When I was born, my parents wanted to name me after my beloved Uncle- Isaack Roet. My uncle refused, saying that as a child, he suffered because of his Jewish name. In 1927, this same uncle allocated a part of his estate to establish an international contest on the promotion of world peace through economic interaction. An issue that at that time was hardly dealt with but is very valid today. The University of Amsterdam continues to hold the Isaac Roet contest to this day. My Uncle Isaack was murdered in Auschwitz. Instead of being named after my uncle, I was given a Dutch name- Hendrik (Henk) after my Aunt Hendrika. She was also murdered in Auschwitz. I was 7 years old when the Germans entered Holland. The Nazis made life difficult for Jews, even for children. I had to wear the yellow Star of David on my shirt, on my sweater and my coat. This was a sign that I was a Jew, with whom- God forbid - other children might play with. I was forbidden from playing in playgrounds, from visiting parks, from riding a bicycle, or even using public transportation. Two years after the Nazi invasion, Jews were picked up on the streets and taken from their homes. My family was taken to the Jewish Theatre by a joint team of the SS and the Dutch Police. More than a thousand Jews were forced to stay there. The conditions in the theatre were horrendous. After a week my family was allowed to leave and sent to a newly set up ghetto. Like many survivors, in my family the four children who survived the Holocaust never spoke with our parents about their experiences. For this reason till this day, I do not know why we were allowed to leave the theatre while the others were sent to Westerbork concentration camp and from there sent by cattle train to Auschwitz and other Concentration Camps. In the Ghetto, we were allocated two very small apartments on the same floor. In one, lived my Grandfather with my two sisters, and in the other, my parents and the four boys. In September 1943, on Rosh Hashana eve, the SS knocked on my grandfather and two sisters' door, ordering them to be ready to go with them within 10 minutes. Before being taken away my sisters were able to warn my parents that the SS was coming. We never saw my sisters or my grandfather ever again. My parents did not open the door but the next morning, two SS man arrived again threatening to break the door down. My parents had to open the door. My mother, who learned German at school shouted and argued with them. After a few minutes, one SS soldier said to the other- Ich habe genug- "I'm fed up", and closed the door behind him. My mother's courage is one of the reasons that I can stand here today. My parents did their utmost to rescue their remaining 4 children. They contacted the Resistance, which assisted in finding us places to hide. My brothers and I were hidden at different places all over the country without any contact with each other. My parents were hidden in a small attic. I was moved from home to home in Nieuwlande, a small Protestant village where most of the residents rescued Jews. Some may doubt that one person can make a difference. In Nieuwlande, there was such an individual. His name was Johannes Post, a farmer and father of 7 children who organized the efforts which saved over 100 Jews, including me. He was assisted by two other resistance fighters. One was Arnold Douwes and the other was Max Leons, a twenty-one year old Jew. Max is now 95 years old and we are still in close touch. Johannes Post, a hero of the Dutch resistance, was later captured and executed by the Nazis. After two month in hiding, the Resistance found me a new place with a family who owned a small bakery. At the time I was 11 years old. Alida and Anton Deesker risked their lives and the lives of their children by hiding me. They had three children: two older daughters, and a son, 4 years older than I with whom I shared a bed. He was not allowed to know I was a Jew. The fact I was circumcised made this extremely difficult. I was introduced as a nephew, whose parents had died in the terrible German bombing of Rotterdam, when in one night 40,000 people were killed. Thanks to my uncle I had a Dutch name which was coincidently the same name as my rescuer's son. This made the story much more plausible. We were continuously afraid that we would be betrayed. Nevertheless, the family took-in two more Jews, a mother and her grown up son. The Deeskers were extremely kind to me. They tried to make me forget the thought that I was all alone in this world and afraid of being caught by the Germans or the Dutch Police. The school principle, who suspected that I was Jewish, told me during a school assembly, that I was not welcome anymore at school. His actions put me and the Deesker's in grave danger. Since I couldn't go anymore to school, I worked till the end of the war in the family's bakery and distributed bread to the farmers around the village. After the liberation, a neighbor told my aunt that he had seen, glued on a tree, a Red Cross notice that the Roet Parents were looking for their children. A year and a half after being torn from my family, thinking I was all alone in the world, I was reunited in the middle of the night , with my parents and my surviving brothers. That same night, my parents told me that my two sisters, Rosientje and Adele, my adopted brother, Yossi and my grandfather had all perished- so did nearly all of my Uncles, Aunts and their families. My mother showed us a postcards written by my sister Adela immediately after her liberation from Auschwitz. This is what she wrote, translated from Dutch: "Auschwitz, March 12, 1945: Dear loved ones, after a most terrible year in the Birkenau concentration camp, My sister Rosientje died in Auschwitz. I was not present. Grandpa and uncle Isaac were sent to the gas chambers upon arrival on February 2, 1944; aunt Riek died on April 21, 1943. I survived because of willpower, the help of God, the unforgettable home memories of Friday nights and the holidays. Looking everywhere for (my) father, mother and brothers. Looking for help to return home soon, to see each other very soon, as soon as possible. Adela." Two days after writing the postcard my sister Adela died. Till her death, my mother kept Adele's postcard in her handbag. After the war I moved to Israel, married my wife Naomi, had three children- Vardit, David and Avigail and have eight grandchildren- Raz, Ruthie, Yotam, Oren, Ido, Dana, Nimrod and Tamar. My experiences in the Holocaust led me think about how we can remember and what can be learned; What does it mean when we are told that six million Jews perished, can anyone really grasp it? "The great sadness of our history is that the moral imagination cannot summon the same grief for the casualties of an earthquake than it can for one little girl killed by a car". I tried to find a way to make the Holocaust more personal, so people can understand the calamity of 6 million souls murdered for being Jewish. Thus I initiated the "Unto every Person There Is A Name" memorial project where the names of Nazi victims, their age, birth and death place are read in public. These ceremonies are held throughout Israel and around the world. Another project I am working on is recognizing and publicizing the courageous rescue work done by thousands of Jews who saved Jews under the most difficult and dangerous situations. Their deeds have not been recognized and are mostly unknown. In the last 25 years, I have concentrated my efforts to assist in fostering more empathy in society towards the sorrows of others and to encourage positive actions and good deeds. The social project in which I now spend most of my time and brings about very good results is Tseela. This NGO promotes the improvement teams methodology, previously used only in the business world, for dealing with major macro-social problems and in assisting NGOs. A new project I am working on is the "Academia For Social Responsibility" which encourages universities to consider the improvement of society as a goal just as important as research work and preparing students for future employment. Looking back 70 years, it is heart-breaking that as a world we did not learn enough from the Holocaust. Genocides are still going on, and 11 year old kids like I was, are still killed and suffering in too many places. Genocides must be stopped and prevented everywhere. There are less and less survivors that can tell their stories. These stories must continue to be told so we can remember the victims and the communities that disappeared. But it is even more important that the lessons of the Holocaust serve as a warning of where blind hate and racism lead to. 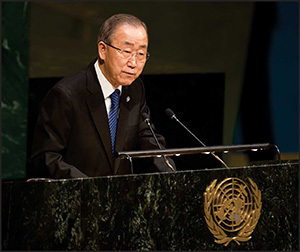 UN Sec, Gen., Ban Ki-Moon, addressing the UN. I am honored to be with you on this solemn occasion. Today we mark the liberation of the infamous Nazi extermination camp, Auschwitz-Birkenau, and reaffirm our commitment to Holocaust remembrance. For thousands of weakened and exhausted prisoners at Auschwitz-Birkenau, January 27th was a day of freedom, a reprieve from a death sentence. From that day on, survivors have shared their stories of unimaginable atrocities - including haunting ones that I heard when I visited Auschwitz-Birkenau in 2013. They remind us what happens when inhumanity prevails. They are living testaments of the human spirit and the inherent dignity and worth of people. Years later, we still rely on the survivors to ensure we never forget and to reaffirm our faith in the resilience of humanity. On this day, we come together to amplify these voices across the world and pay our respects to the 6 million Jews who were murdered during the Holocaust. And we remember the millions of others - prisoners of war, political dissidents, minority groups, such as Roma and Sinti, homosexuals, persons with disabilities, and many more who were killed. The Holocaust was a colossal crime. The evidence is irrefutable. Yet today we continue to see hurtful efforts to question the reality and scale of the tragedy. At this time of sectarian tensions, mutual respect must be foremost in our minds. Spreading hatred and toying with historical facts only leads down the dead-end of discord and danger. 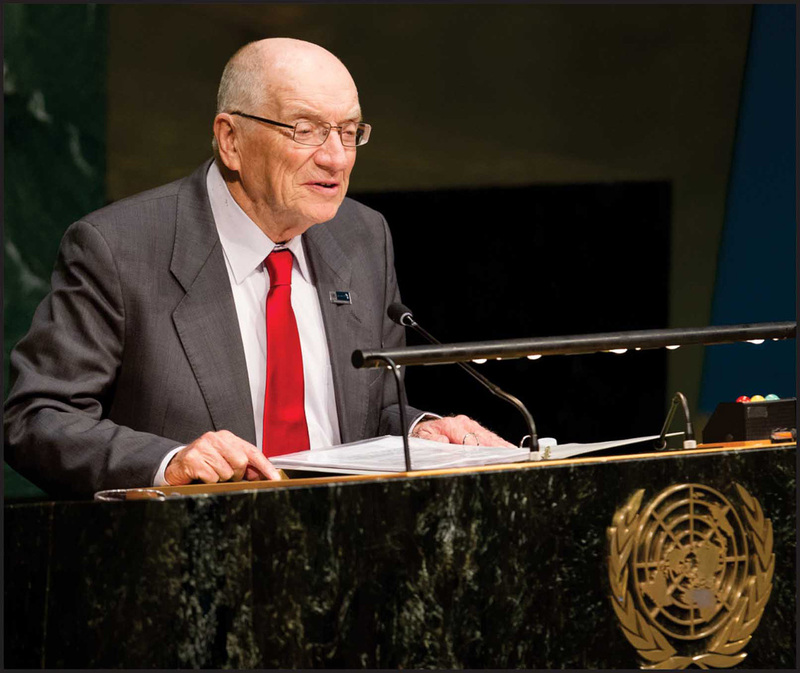 This year, we focus on "the Holocaust and Human Dignity". 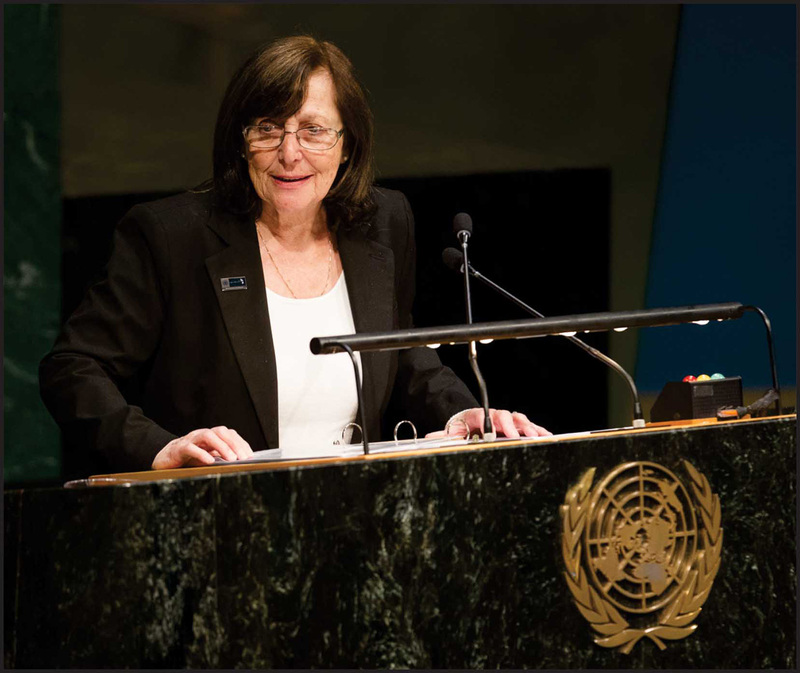 We link Holocaust remembrance with the founding principles of the UN, as expressed in the UN Charter and the Universal Declaration of Human Rights. We are reminded of our obligation to assure everyone the right to live free from discrimination and with equal protection. Today, with a rising tide of anti-Semitism, anti-Muslim bigotry and other forms of discrimination, we must do more to defend rights for people everywhere. Violent extremism, sectarian tensions and hate-filled ideologies are on the march. Civilians are in the crosshairs. Huma-nitarian law is being flouted, failing to hold perpetrators to account. Today, we see actions of Da'esh that may amount to grave crimes against minority groups. And the conflict in Syria has generated the worst humanitarian crisis of our time. The village of Madaya has become a scene of shocking suffering Tragically, Madaya is just one village in an arc of agony that extends throughout the country. Yet the parties continue to deliberately deny access. They continue to cynically use food, water and medicine as bargaining chips. And girls and boys, women and men, pay the price. I call on the Syrian parties to act for sustained and unimpeded humanitarian access throughout Syria. And I again remind all parties that starvation as a weapon of war and the deliberate targeting of civilians is a war crime. On this day, we recognize one of the most effective ways to stand up for human rights, fight xenophobia and prevent new genocides - and that is by educating new generations about the horrors of the Holocaust. 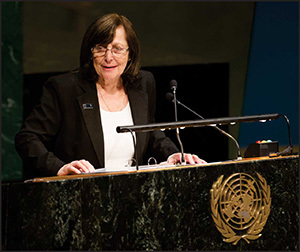 The Holocaust and the United Nations Outreach Programm reaches out to students and educators across the world, and warns against the consequence of hatred and bigotry of all kinds. On this day of Holocaust remembrance, I urge everyone to denounce political and religious ideologies that set people against people. Let us rededicate ourselves to promoting the universal values of the United Nations, and working together for a world of peace, security, social progress and dignity for all. Holocaust Survivor, Marta Wise, addressing the UN. I thank you for the opportunity to address you today. I was born in Bratislava in what was then Czechoslovakia. In 1944, after 180 members of our family had already been deported by the Nazis for no crime other than being Jews, my parents, sent me with one of my sisters to a city called Nitra, where we lived as Arian children. On the 8th of October, the day of my tenth birthday, our neighbors, denounced us to the Nazis. We were picked up by 22 fully armed soldiers and deported in cattle trucks - 80-100 people per wagon, without food or water. We were driven around for three days to make room for the next transport. When we arrived at the extermination camp Auschwitz Birkenau, we were overwhelmed by the smell of burning flesh, a smell which stays with you for a lifetime. The sight was indescribable; Jewish inmates in striped clothing, looking like -skeletons-, a detachment of SS soldiers with guns, alsatian killer dogs straining at their leash waiting to tear us apart. We were pushed off the train and told to line up, women and children on one side and men on the other. We were told to start walking towards the "gentleman" at the other end, the infamous "angel of death," Josef Mengele. He whistled or waived his baton to the left or to the right; to the gas chambers or to work. My sister and I were taken at a later date to his barracks, where experiments were carried out on twins. There is no other description to Auschwitz other than a "hell on earth". The holocaust was a period in history when the world witnessed the darkest side of human kind; doctors experimenting on human beings and scientists who devised the implementation of Eichmann's final solution. Today I want to focus on the rising anti-Semitism that has again reared its ugly head in Europe and which is on par with the European antisemitism of the 1930's in the years preceding the rise of Nazi Germany, culminating in the holocaust. Today the whole world is aflame and another holocaust can happen again. Not a day goes by without hearing reports of anti-Semitic acts; the desecration of synagogues and graves, hooligans assaulting innocent people for no other reason than they are different from them. The current passive attitude of the European community towards anti-Semitism is precisely the same as in the 1930's. We see the emergence of right wing anti-semitic parties in Hungary, France and other countries. We see biased reporting in the media. World anti-Semitism is even more evident today with the threats of economic and academic boycotts on Israel; a reminder of the steps taken by Nazi Germany with the rise of Hitler. Then, as now, the world is standing by silently. People often ask where was G-d during the holocaust. My question is, where was man? Today, 71 years ago I was liberated by the Russian army. As a ten year old in Auschwitz, I never dreamed I would survive, let alone have the privilege and joy of living in the State of Israel with our children, grandchildren and great grandchildren. Israel, in its very short existence of 68 years has contributed to the world through its 12 Nobel Laurettes, extensive research and achievements in medicine, agriculture, high tech and more. We are a country that is a melting pot of various peoples and cultures. 71 years ago there was no United Nations. Today I ask you to use your extensive resources to put an end to anti-Semitism and the baseless hatred and persecution of innocent people all around the world.